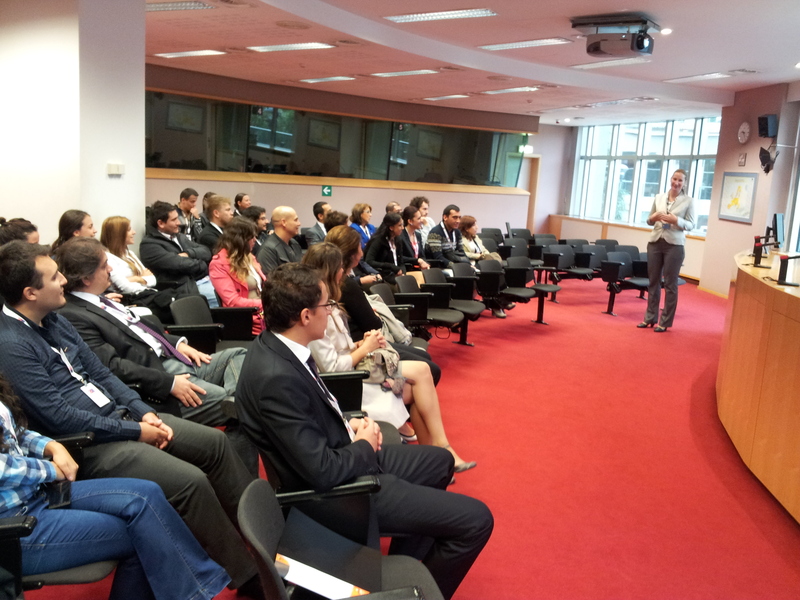 Ministry for EU Affairs invites you to use your creativity with the Competition of Young Communicators on the EU Path. Within the context of this project, Ministry for EU Affairs aims to motivate communication students to take part actively in Turkey's EU Accession process. 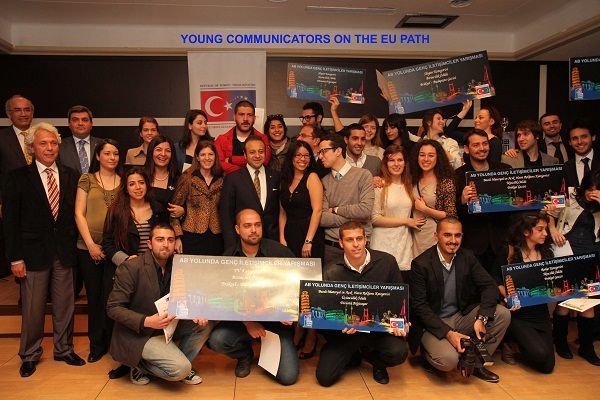 Competition of Young Communicators on the EU Path is the first initiative that was taken in order to use the creativity of the young communicators and by doing so, contributing to overcome the dual prejudices and misperceptions both in Turkey and in the EU. The competitors will participate to the competition under six categories: TV, Radio, PR Campaign, News, Outdoor Advertisement, Internet and Social Media. All undergraduate students studying in the faculties of communication, art&design, fine arts and related vocational schools can participate to the competition. Take your place in this exciting process with your ideas, emotions and creativity. Please click here for the rules of the competition. Please click here for flyer of the competition. Please click here to download competition poster. 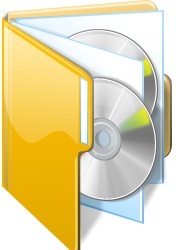 Please click here to downlod Ministry for EU Affairs publications. Please click here to download EUCS presentation. Please click here to download the EU and Environment presentation. 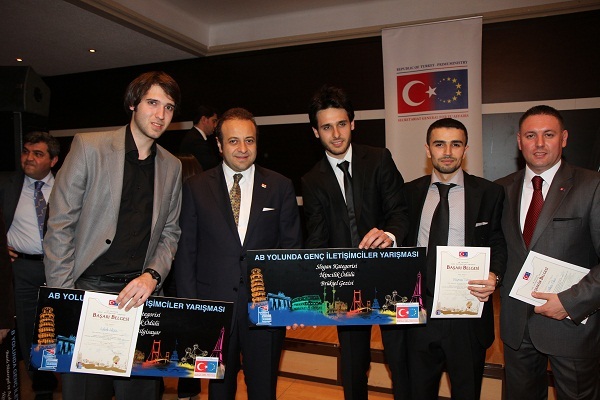 The award ceremony and the launch of The Competition of Young Communicators on the EU Path 2013, which is implemented by Ministry for EU Affairs was held in İstanbul, Sait Halim Paşa Hall with the participation of Minister for EU Affairs and Chief Negotiator H. E. Egemen Bağış, Governor of Istanbul Mr. Hüseyin Avni Mutlu, Consul Generals, academicians and members of the media on November 2, 2012. 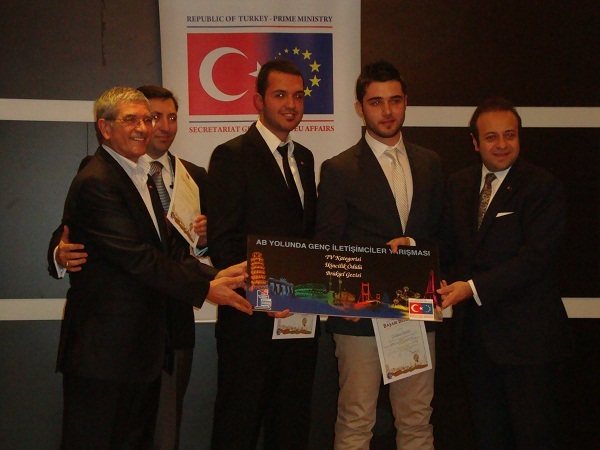 The winners of the Competition were awarded by Minister for EU Affairs and Chief Negotiator H. E. Egemen Bağış. Minister Bağış in his speech have told that in order to overcome the prejudices and the eclipse of mind in Europe, open, innovative, creative minds and communication skills of youngsters are significant. Bağış have underlined it is obvious that the young Turkish generation did not lose their EU dynamism, contrary to what is believed; they create a new synergy with their energy to our EU accession process. 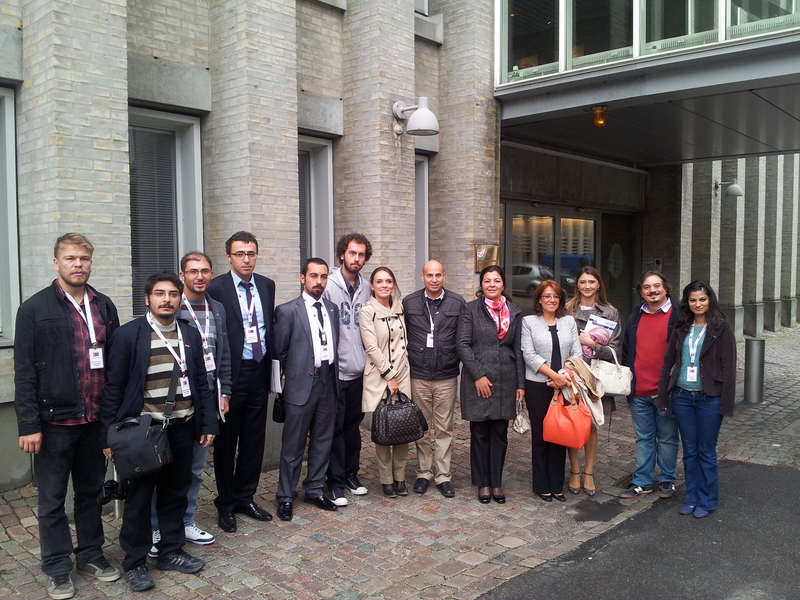 The participants of the competition that organized for the second time in the 2011-2012 academic year have given the message “Europe will be incomplete without Turkey” by their works. 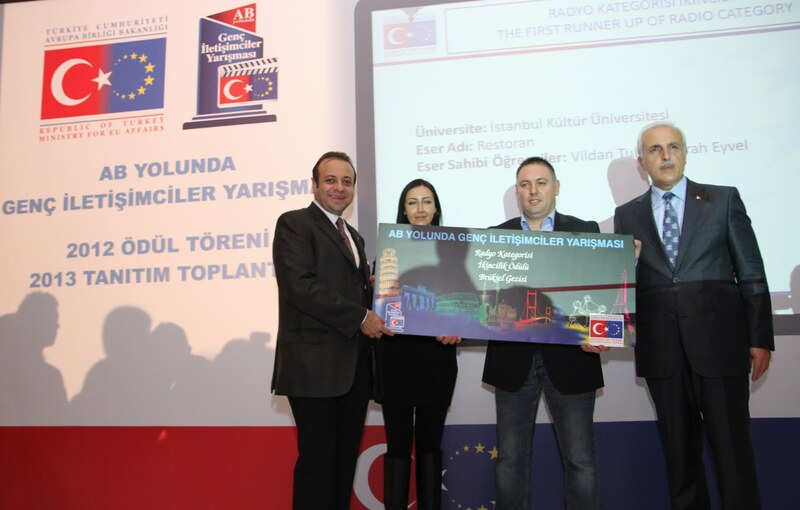 45 different universities across Turkey have participated to the competition which is implemented under the framework of Turkey’s European Union Communication Strategy. 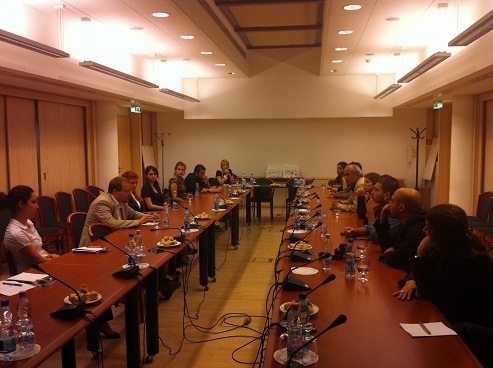 Information meeting of the Competition towards the academicians was taken place before the award ceremony. The Competition has reached thousands of students across Turkey in order to benefit from youngsters’ communication skills for overcoming the prejudices in European and Turkish public. Winners, the first and second runner-ups of the competition are stated below. Please click on the name of the works to view winners, the first and the second runner-ups. 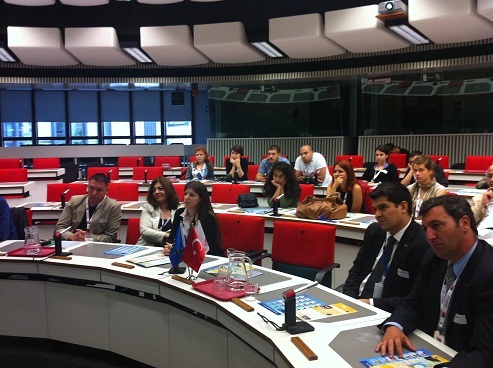 The Final Jury assessments of “Competition of Young Communicators on the EU Path”, implemented by Ministry for EU Affairs under the auspices of Minister for EU Affairs and Chief Negotiator Egemen Bağış, were held on July 19 at Ministry for EU Affairs Istanbul Office. The competitors participated in the competition under four categories: "TV", "Press and Outdoor Advertisement", "Radio" and "Internet and Social Media." 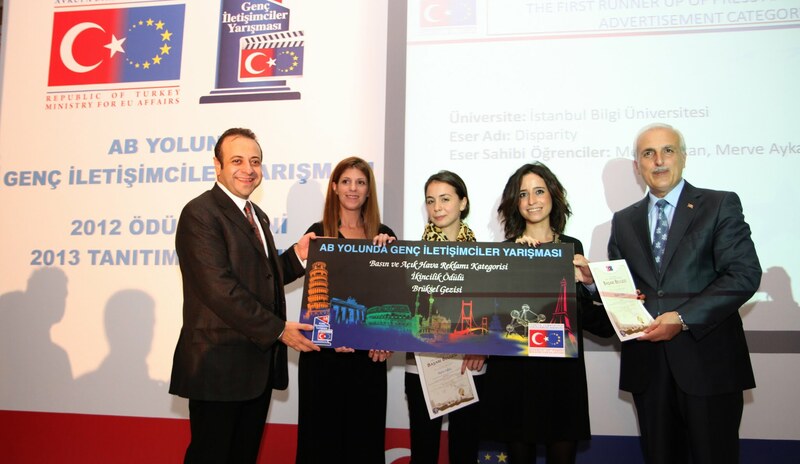 The Competition, which was launched by Minister for European Union Affairs and Chief Negotiator Egemen Bağış on 24 November 2011, aims to allow the youth to use their creative ideas for the European Union, as well as learn more about the Union and the Turkey-EU relations. 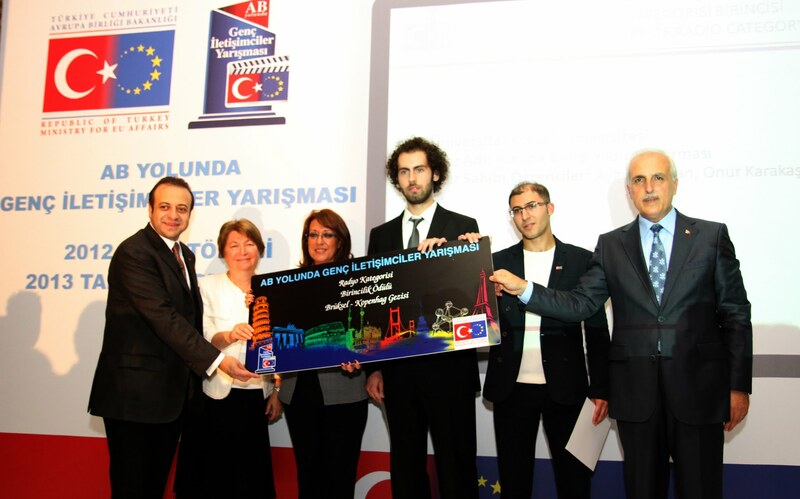 The competition was realized through the participation of 45 universities in Turkey. The winners of the four categories will pay a visit to Brussels and Copenhagen, while the first runner-ups will visit Brussels and the second runner-ups will get lap-top computers. 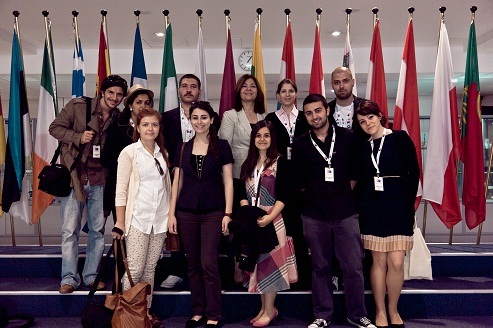 The "Competition of Young Communicators on the Path to the EU," implemented by the Secretariat General for EU Affairs found its winners on 3 April 2011. 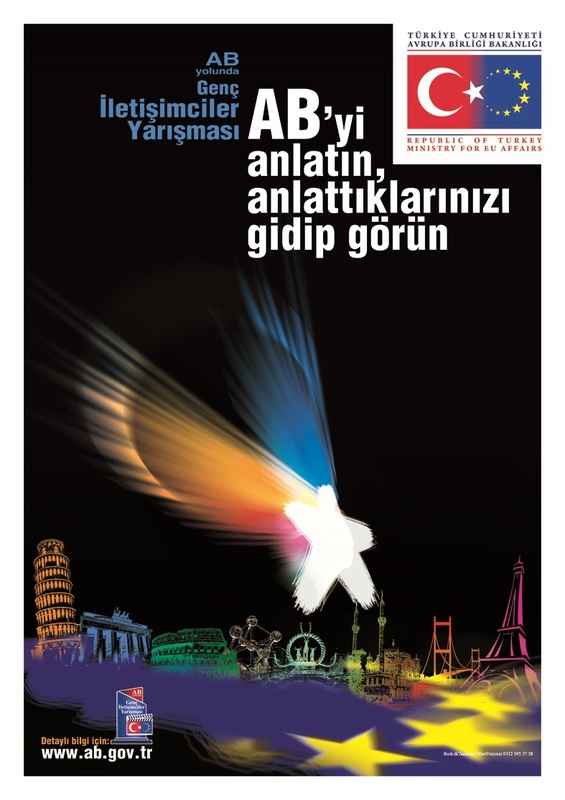 The Competition, which was launched by Minister for European Union Affairs and Chief Negotiator Egemen Bağış on 25 November 2010, aims to allow the youth to use their creative ideas for the European Union, as well as learn more about the Union and the Turkish-EU relations. Please click here for the winner of Slogan category. Please click here for the winner of Television category. Please click for the first and second versions of winner of Radio category. 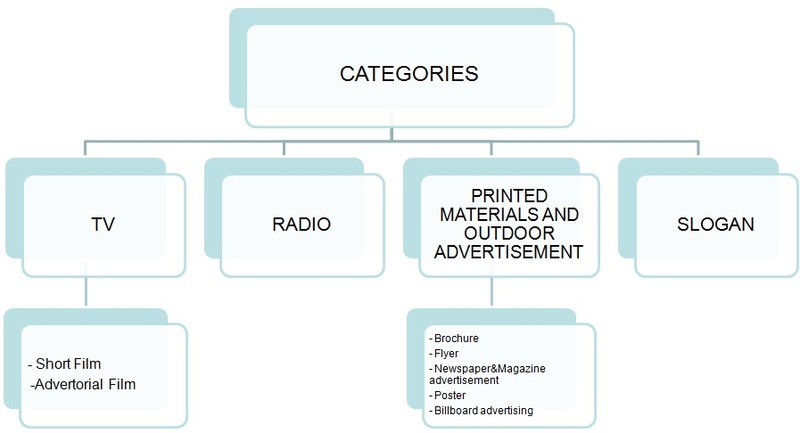 Please click here for the winner of Printed Materials and Outdoor Advertisement category. 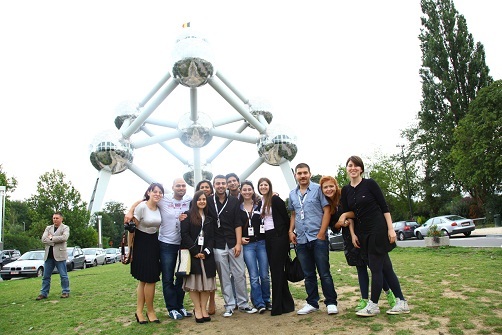 The winners of the four categories will pay a visit to Brussels and Budapest this summer, while the first runner-ups will visit Brussels and the second runner-ups will get technical equipment.